I planted two kinds of tomato seeds this year. I then lost one of the packets. Whoops. The packet I have is for an heirloom variety that I found at Canada Blooms. They are called Watermelon Beefsteak, and according to the description, produce “large pink beefsteak tomatoes…very flavourful and juicy”. I vaguely recall that the other variety was more pedestrian, perhaps Best Boy. Or were they cherry tomatoes? The problem is that one tray took off and grew like crazy. 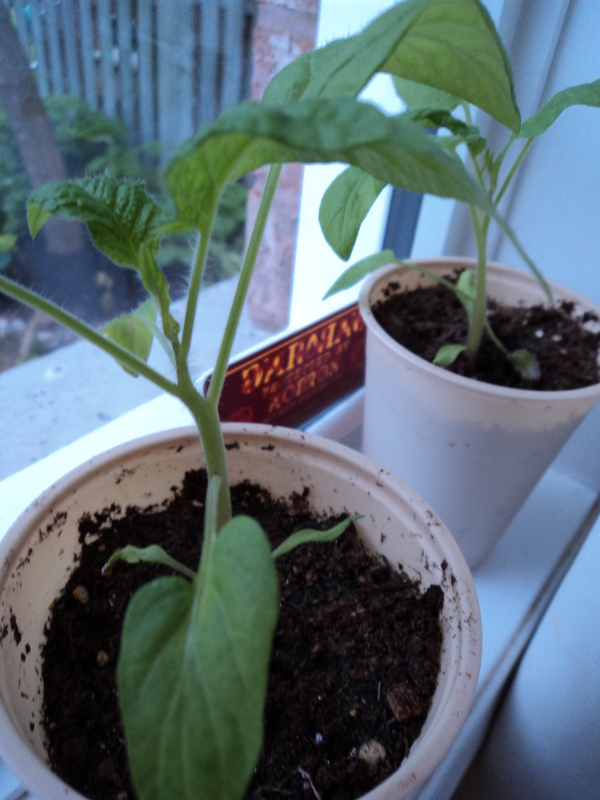 I replanted them in larger pots and they loved their hot, sunny window sill. They got a little leggy waiting for the weather to warm up enough to move outside, but they are strong and healthy. 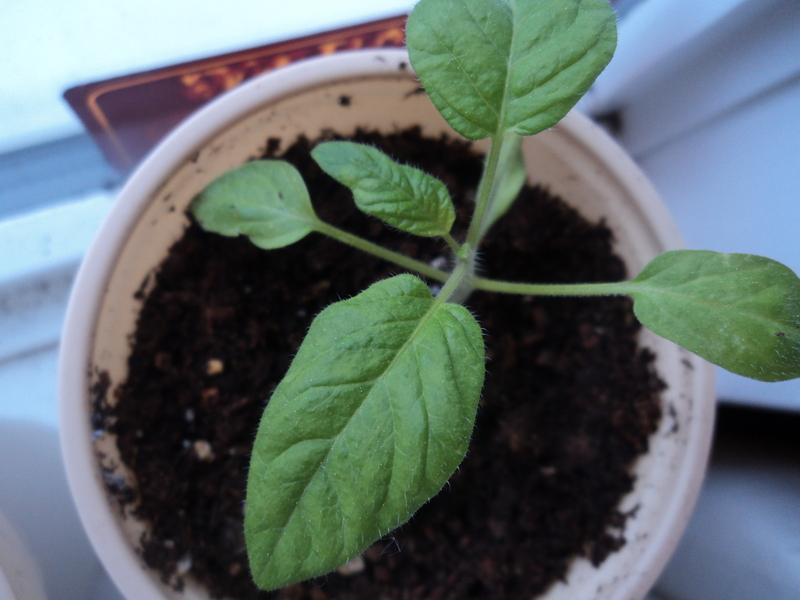 The other tray, however, had some seeds germinate but nothing much happened after that. The tiny little plants sulked, refusing to produce any true leaves. For weeks I kept watering them thinking that surely they would sort themselves out. Finally, a few weeks ago, I gave up. I kept three of the strongest-looking sprouts and repotted them in proper pots, and put them in a hot sunny window to fend for themselves. I threw the rest on the compost heap. I don’t do coddling. S trangely, those little things have grown. Now I have a new problem: they don’t look anything like tomatoes! The leaves are completely the wrong shape, having no jagged edges like every other tomato I have ever met. They have a familiar fuzzy stem, but that’s where the similarities end. Now what? 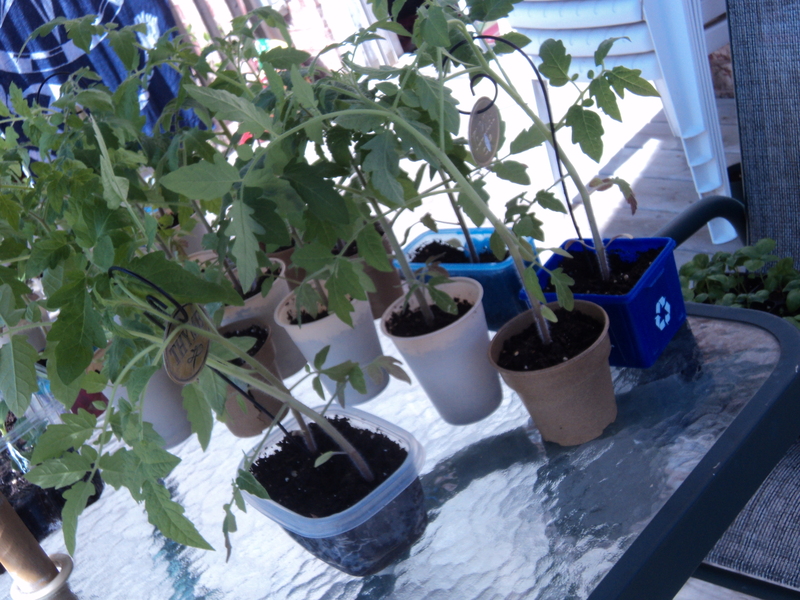 I have begun to plant the big, strong tomatoes out into the garden, hoping (please, God!) that they aren’t all a cherry variety. Now I have these three mystery plants to content with. I f these plants really are tomatoes, they will need a very hot, sunny location and a long growing season to produce any fruit after such a slow start. On the other hand, if they aren’t actually tomatoes, who knows what they’ll need? Did I mention I don’t do coddling? So here is my suggestion: that two of these plants be adopted out. Perhaps you enjoy coddling, or at least a good mystery, and you would like to take one home. I figure if we try growing them in different places and different conditions, surely one of them will survive and solve the puzzle. So what do you say? Are there any takers? This entry was posted in Uncategorized and tagged food, garden, nature, plants, vegetable. Bookmark the permalink. I will! I will!! – A sunny spot awaits! Sold to the lady with the sun! I’m game if there’s still an orphan to be had!